Even though indoor swimming pools aren’t exposed to the elements like outdoor pools, they still need regular cleaning and servicing to make sure they function properly. Ensure that your pool water is healthy and free of bacteria, and that your swimming pool filter and heater and your pool room air handling system are serviced and in good working order by carrying out essential regular maintenance yourself, or engaging a pool management company to do it for you. Remove any visible debris in the pool by hand, and make sure your pool filter is cleaned regularly. Beware of cleaning the filter too often, though – it actually works best with a small amount of dirt in it, to help trap other, smaller, particles of dirt. The type of filter you have – cartridge, sand or diatomaceous earth, will determine how often it should be cleaned. 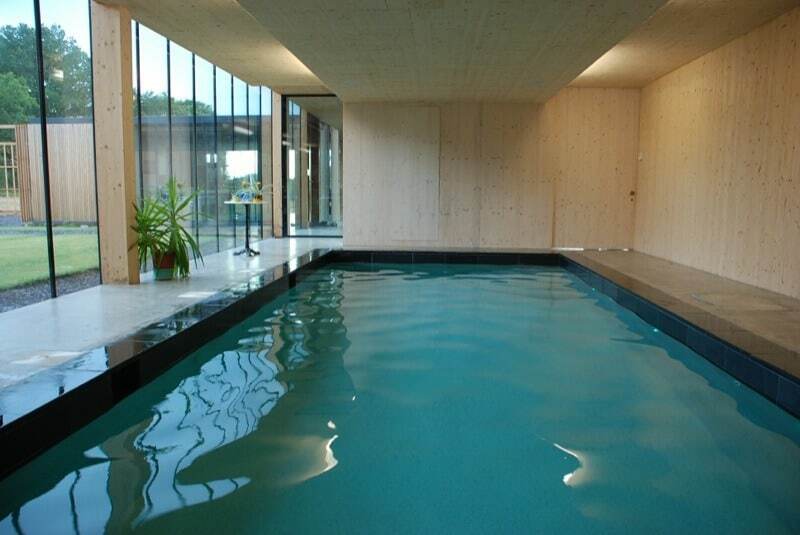 The walls and floor of your pool should be vacuumed periodically to remove any build up of bacteria and calcium. For a pool engineer to thoroughly clean and service your pool, including checking and maintaining your chemical levels, you might pay around £75 a time, depending on where you’re based. Chemicals for a swimming season in an average sized pool may cost in the region of £300. You should check the pH level, chlorine levels, water hardness and the level of cyanuric acid in the water to ensure that it’s clean and healthy to swim in. If you want to do this yourself, you’ll need to buy a testing kit. These kits can be as simple as dip strips which cost just a few pounds each, and come with a colour chart so you can work out your levels, or for greater accuracy your could spend £50 – £200 and invest in a digital tester. By working out a regular maintenance and pool-care routine for yourself, or by taking out a pool servicing plan, you can ensure that your indoor pool is always ready to be enjoyed. As well as regular cleaning and water maintenance, you should check your water levels each time you use the pool, and look out for any signs of damage such as cracks or leaks.